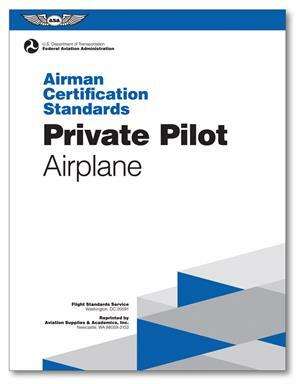 The Airman Certification Standards is the guide for students, instructors, and FAA-designated examiners to know what applicants must know, do, and consider for their FAA Knowledge Exam and practical (checkride) to earn their pilot certificate or rating. Replacing the Practical Test Standards (PTS) and effective June 2016, the ACS is basically an enhanced version of the PTS. It adds task-specific knowledge and risk management elements to each PTS Area of Operation and Task. The result is a comprehensive presentation that integrates the standards for what an applicant needs to know, consider, and do in order to pass both the knowledge test and the practical test for a certificate or rating. Softcover, 8-1/2" x 10-3/4", 120 pages.